I’m Jon Bernthal. I’m an actor. I’m a father. And I’m a proud pit bull dog owner. 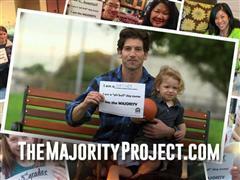 Join me, and thousands of others, at The Majority Project.com and take action by simply taking your picture.